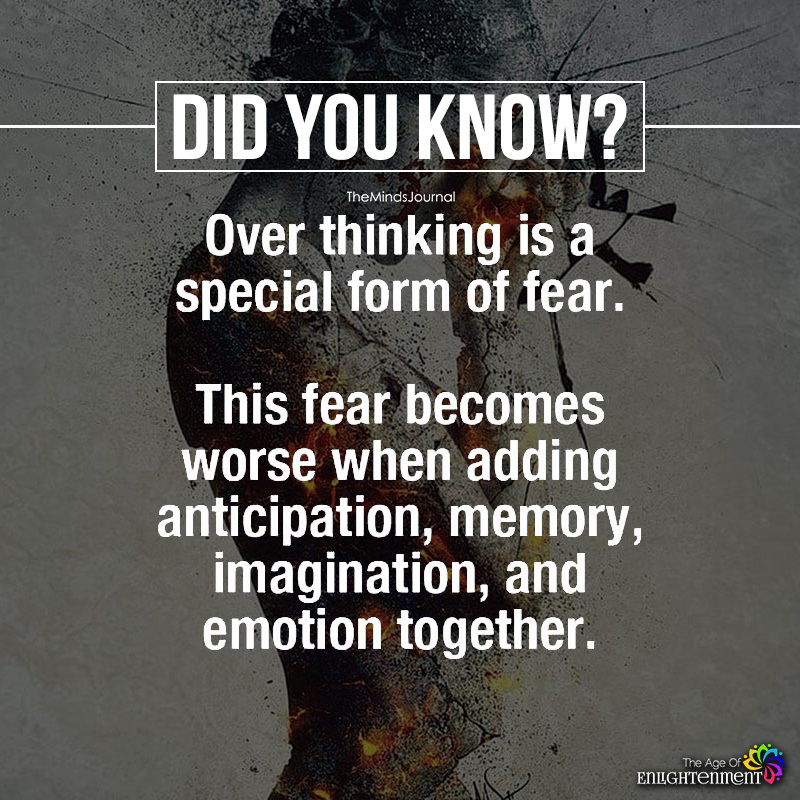 Over thinking is a special form of fear. This fear becomes worse when adding anticipation, memory, imagination, and emotion together. Are you kidding? Every one of those things makes my life stronger! This page is becoming more propaganda than anything else. Please go back to what the title of the actual page is about. Thank you. Overthinking is nothing more than psychoanalysis. And psychoanalysis is good. If your overthinking leads to anxiety and a bad quality of life, that is when it should be considered bad or unhealhy. Otherwise theres no issue with it. Overthinking is usually ment to say when youre thinking every possible situation how things can go wrong. If you have task and think every possible solution you can i wouldnt call it overthinking.